Forest Hill Society: FHS MONTHLY OUTINGS! We are keen to hold regular events for both members and all residents of SE23. Previously, this was done via social evenings in local restaurants and called the 23 Club. We felt that these events, apart from being at a cost, also missed out some of the fabulous things to do in the area. Plus the word club could sound a bit exclusive. And that we are not! So, we plan to organise monthly events, on or around the 23rd of the month. 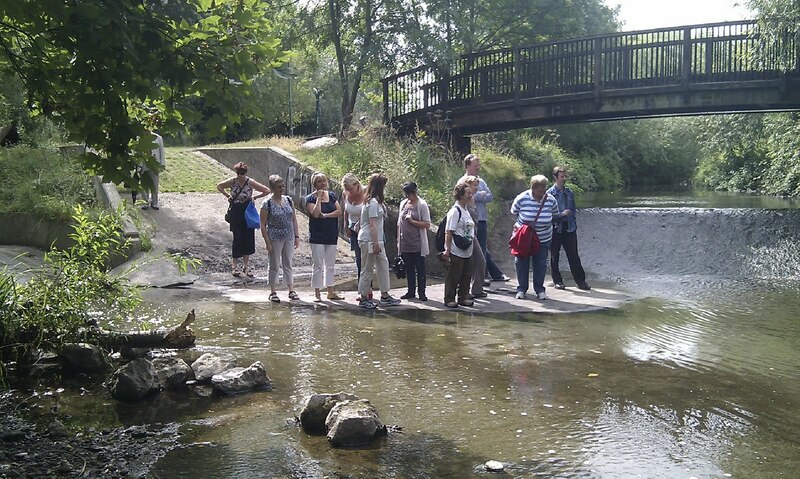 The forerunner was a river walk in August along the Pool and Ravensbourne, from Bell Green to Ladywell. It was a lovely walk and a gorgeous day, so much so there was a mass dipping of toes to cool off. However we need ideas so come to the AGM or look out for e-news for details. NEW TRAIN SERVICES, FULL STEAM AHEAD?